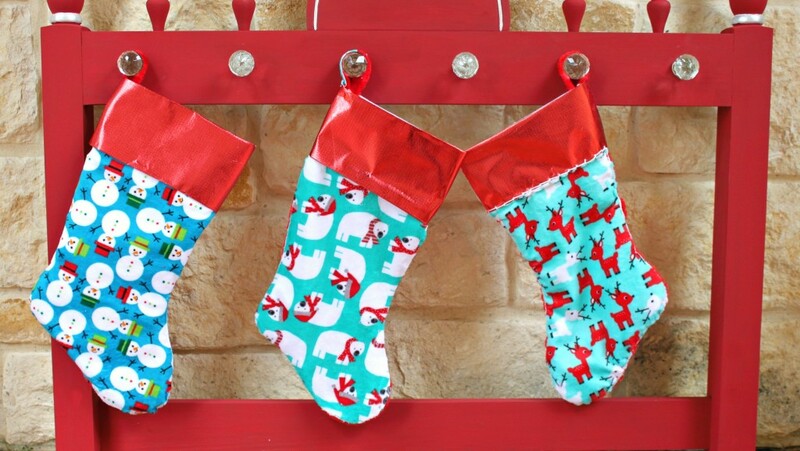 Make last minute Christmas stockings quickly and easily! I “cheated” and saved time by using Cuddle fabric and my trusty glue gun! If you’re anything like me, then you’re scrambling at the last minute to get craft projects done for the holidays. I always want to make coordinating Christmas stockings for my family, but I never seem to get around to it. Yes, I can buy them but it does get expensive when you’re shopping for six of something! We already have plenty of stockings, they just don’t coordinate with each other. Last year I came up with a solution: I covered the front of our old stockings with new fabric! Now they all match! I had some gorgeous left over cuddle fabric from Shannon Fabric that I used to make THESE pillows (see photo above). 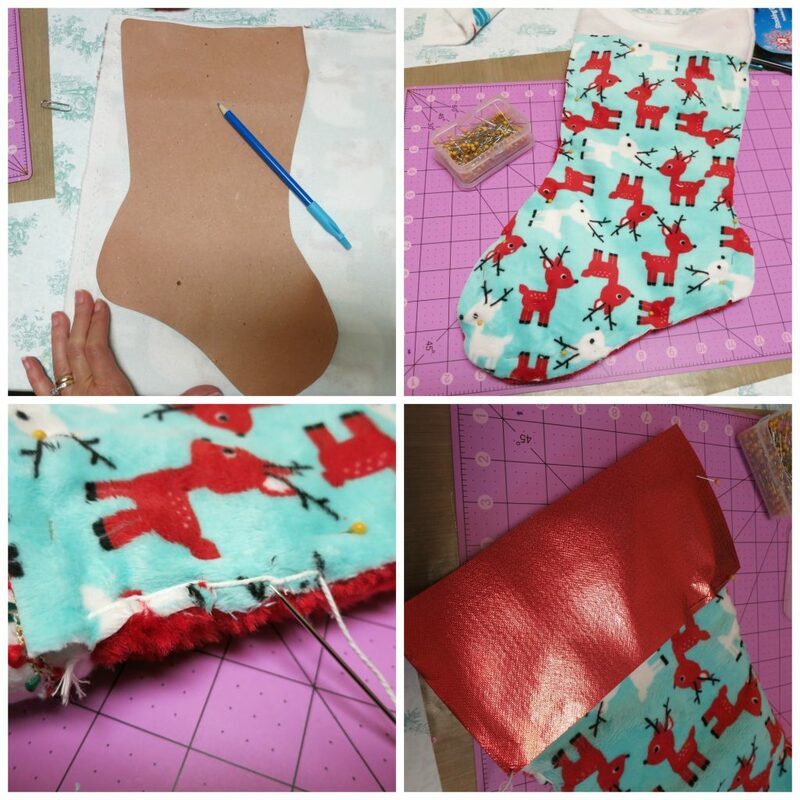 I used the remnants to make six fun retro inspired stockings. I sewed one, then got lazy and started hot gluing them (ha!) Don’t judge me…they still turned out great! 1. Trace the stocking on the cuddle fabric and cut. 2. 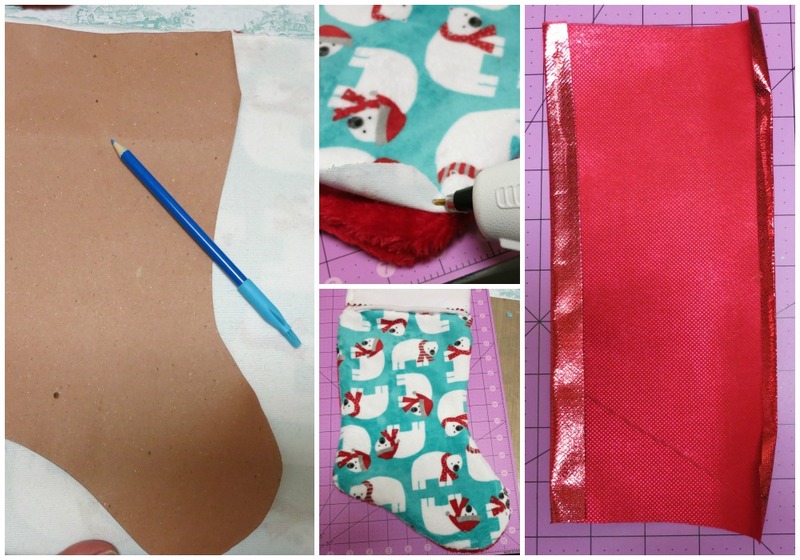 Pin the fabric to the front of the stocking. 3. Hot glue the edge of the cuddle fabric to the edge of the stocking. I used Ad Tech’s Christmas Tree scented sticks to add a pleasant scent to my stockings! 4. Trim a piece of Oly-Fun Metallic Red fabric to fit the trim. Fold the edges in, and glue the trim onto the stocking. 1. 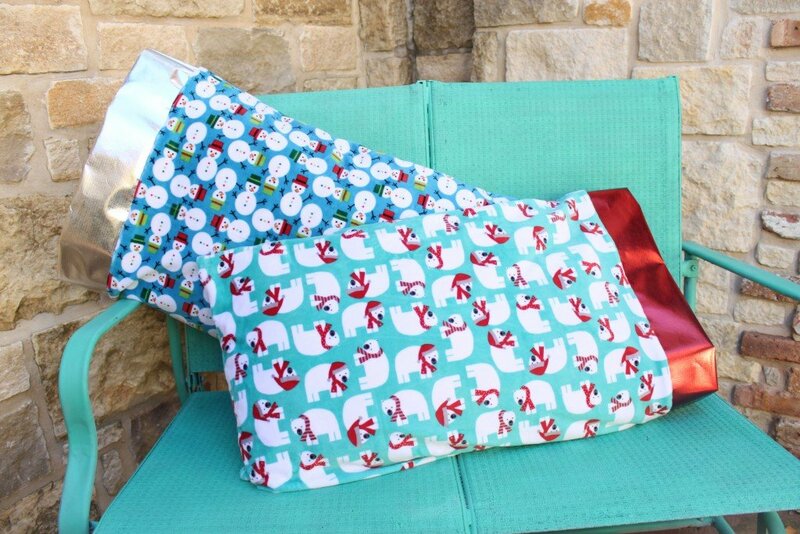 Trace the stocking onto the desired cuddle fabric and cut. 3. Blanket stitch the edges of the fabric. 4. Cut a piece of Oly-Fun Metallic Red fabric to fit the trim of the stocking. Blanket stitch it in place. 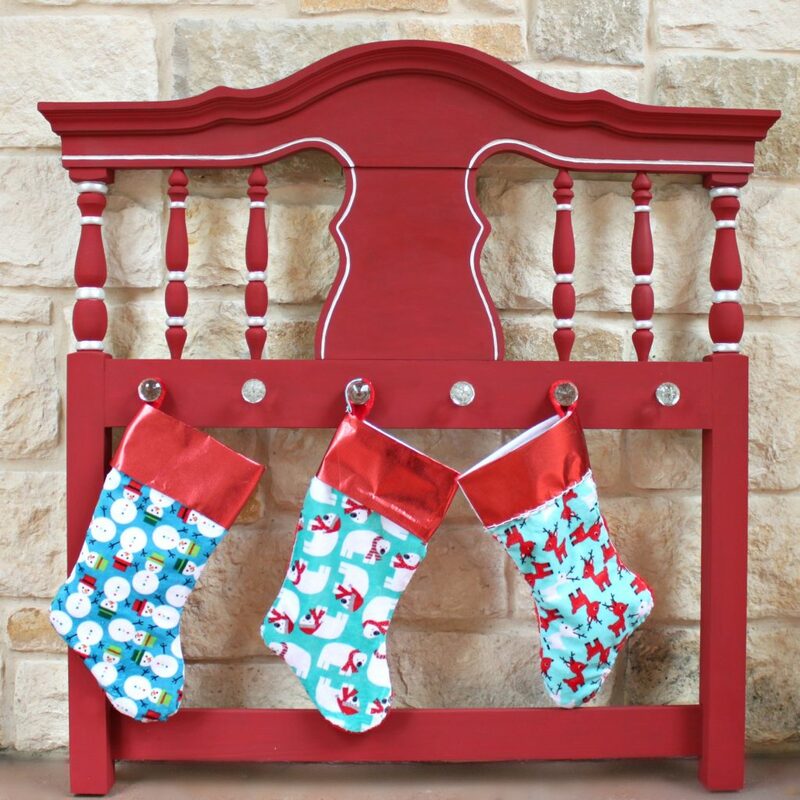 My last minute stockings look great on my fun headboard stocking hanger! You can see that tutorial by clicking HERE.